NASHVILLE, Tenn. (AP) — Mike Vrabel wanted his debut as Tennessee’s head coach to start on offense. It was an impressive beginning in the Titans‘ preseason opener. 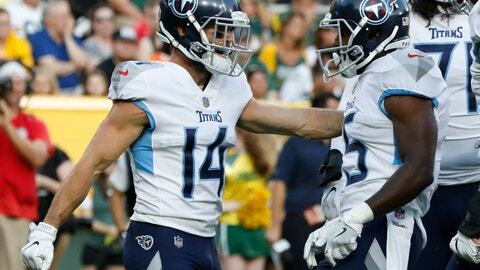 Marcus Mariota and the Titans wasted no time providing a glimpse of what they can do in this new offense, driving 71 yards for a touchdown on the first series even with four starters sidelined. Three-time Pro Bowl tight end Delanie Walker was a healthy scratch, starting wide receivers Corey Davis and Rishard Matthews were out with undisclosed injuries and right tackle Jack Conklin is recovering from a torn ACL.